Located in the heart of Irving Park, 3F gut renovated this three story single family home with five bedrooms and three and one-half baths. With a fully finished lower level and third-floor office/den, the gut renovated home has over 3,000 square feet of living space. 4128 N Harding Ave, Chicago, IL 60618 was carefully renovated to reclaim original vintage characteristics, such as original stain glass and formalized rooms. 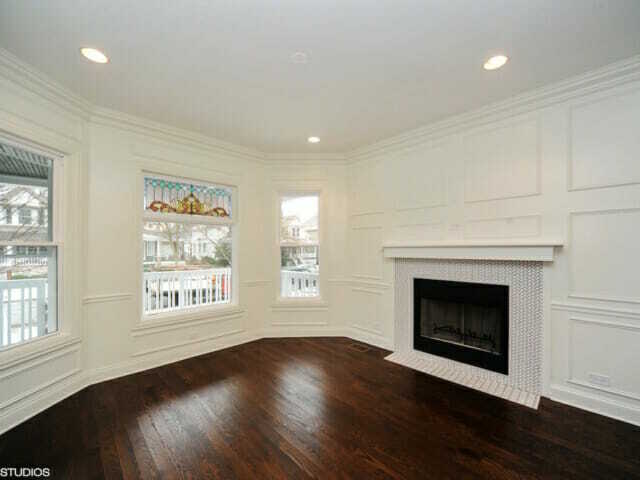 In addition, 3F renovated the kitchen, baths, including the master suite, hardwood floors, millwork, exterior siding, and deck. The home also includes all new mechanicals, plumbing, and electrical systems. 3F completed the $150,000 renovation in under six months, on time and on budget.